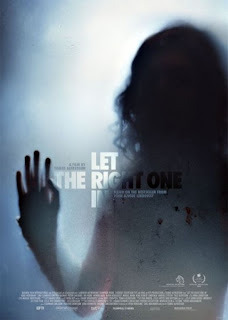 Helen Butterworth: FILMS: Let the right one in. What did I think? That's a good one. After recently reading the series of Twilight I've only just got into Vampire Films. Prior to this I hadn't really watched them or heard of them before. Its what Twilight wanted to be but with a better story. The film is based on a young boy who meets a vampire girl...real or not I still do not know.A figure of his imagination maybe maybe but I prefer to think of them as real! I still believe Unicorns are real.. It's delicate and tender, which is all the more strange given that it's a horror flick. It's haunting. The story itself is haunting. 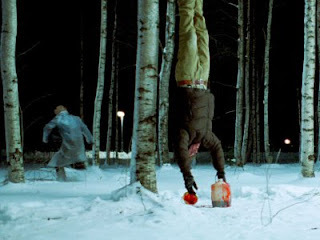 And some of the scenes will just blow your mind with how haunting and strange and surreal and spooky they are. The boy and girl play the parts amazing well. The film had beautiful music and art direction, it had a soft approach to the way it was filmed, probably due to the lighting and setting of the backgrounds. 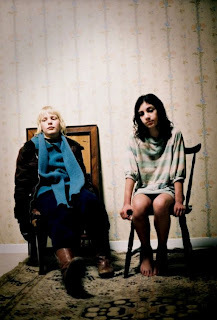 It was a bit magical throughout, the girls killing spree in the town but then she didn't kill him...was she in love with him or comforting his loneliness?Films like this always make me think of the other life and if they are real or not? Its surreal and abstract, everything that happened all happened for a reason. It has definitely changed my perception, Mack said it would play mental games and it certainly did. Nether less, it was a moving romantic film that touched me, like all the films it is making me more aware and I can only hope for more.